Looking for that special holiday gift? Shop online for your holiday “niftie-gifties” at The Spa Room using the code MarineMoms10 and they will donate 10% of your purchase to Marine Moms-Bethesda which will be used 100% toward our luncheons. You’ll receive a high-quality product while supporting our luncheons at Walter Reed! 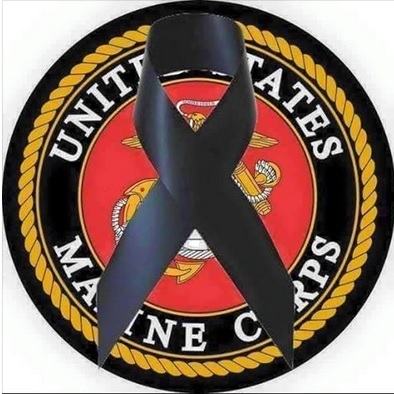 As the year comes to a close and we enter the holiday season, I want to take a moment to personally say Thank You to you and the Marine Corps Moms for all of your hard work to benefit our community. The Spa Room would like to take this opportunity to support your mission. In addition to our massage gift certificates, we also have a lovely line up of all natural and organic bath & body products for every budget. Please don’t hesitate to contact us with any questions- we would love to hear from you. 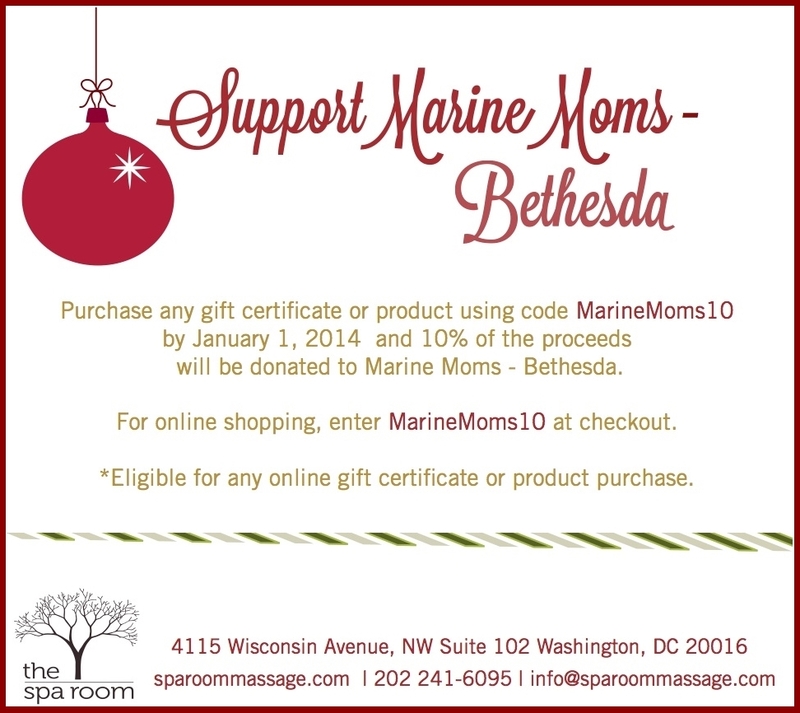 The Spa Room has supported Marine Moms-Bethesda since 2011 when they chose us as a monthly non-profit partner. 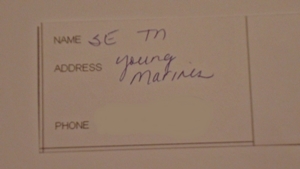 At the December 2011 Holiday Cheer event, through their caring generosity, we were able to present a New York Marine Mom with a gift certificate for two full massages. She, and her Marine who had been wounded in combat, had been the hospital ward close to a year with Dad visiting as often as possible. Mom was thrilled beyond words with the gift. We are very grateful for the kindness and support of our mission The Spa Room shows to our warriors and their families recovering at Walter Reed. Thank you, Mary & The Spa Room Team! Oh myyyy……….. I’m in spa heaven just looking at the pictures… I swear I can smell the Woodsprite stuff through my monitor….